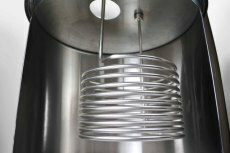 Get ready to cool and maintain fermentation temperatures like the professionals with this cooling coil from Blichmann Engineering! This stainless steel cooling coil fits into the lid of the 14 to 42 gallon models of the Fermenator with easy to install and sanitize bulkhead fittings. 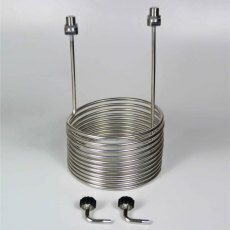 The coil has 1/2 NPT connections that can be fitted through the lid. 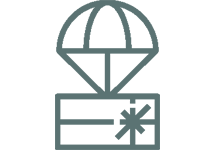 Holes can be punched in the lid at time of Fermenator purchase by adding the cooling coil hole punch to your cart, or you can punch the holes after purchase. 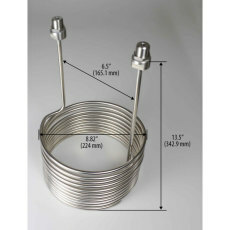 The coil comes with two 3/8 in. 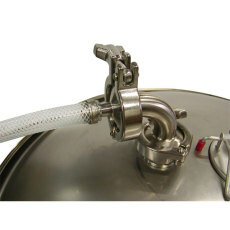 90 degree Quick Connectors, which can allow cold water or glycol to flow through the coils. 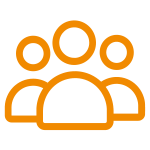 This cooling coil works perfectly as part of a complete cooling system that utilizes a recirculation pump, a temperature controller and a glycol chiller or, alternatively, an ice water bath. 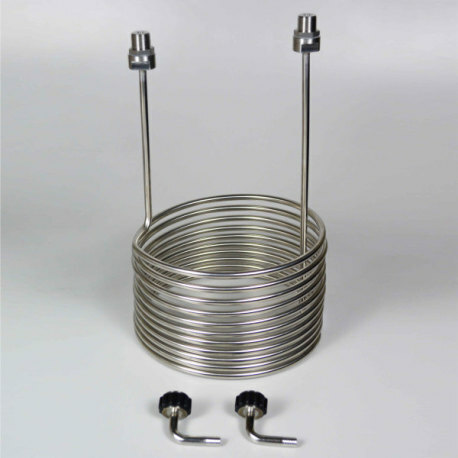 This stainless steel cooling coil is pressure capable up to 50 PSI and works great with commercial glycol chilling systems. Chill like a pro with this cooling coil from Blichmann Engineering!